I’ve always wanted to delve into my family’s past and uncover the stories I know lie in wait. Some stories come to mind easily; they are alive in my heart and mind. But there are those stories that I have only heard whispered close, mouth to ear, when I was young — they are the stories I want to uncover. These are the stories many of us want to uncover. In my Interviewing Techniques for Memoir and Family History workshop, these are the stories that tug at the participants’ heart strings. 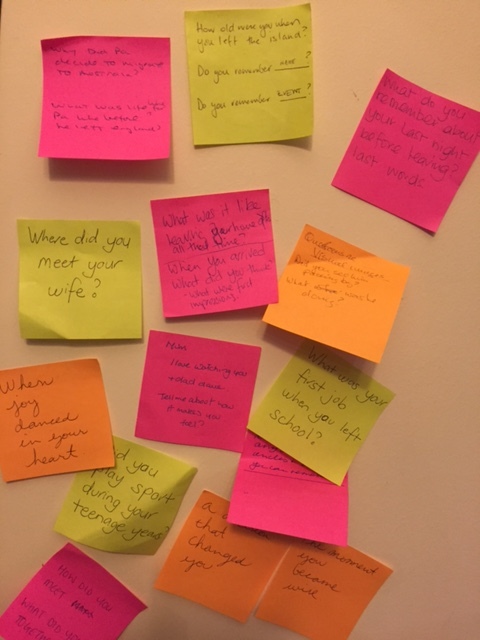 Here is a sample of some of the questions the group from Sunday’s Willy Lit Fest wanted to ask. What do you remember about your last night before leaving? I love watching you and Dad alone, tell me about how it makes you feel. What was life like before you left England? Did you play sport during your teenage years? Tell me about my cousins, aunties and uncles.